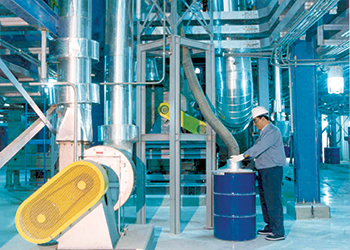 Kuwait Catalyst Company (KCC) estimates there will be significant demand for hydroprocessing catalysts locally and internationally in the foreseeable future and plans to double its production capacity. In the medium term, its growth will be propelled largely by Kuwait National Petroleum Company (KNPC)’s plans for an additional refinery and a Clean Fuels Project which will need the type of catalysts that KCC makes. KCC plans to have its own expansion in anticipation of the completion of KNPC’s expansion projects. “Estimated future demand for hydroprocessing catalysts in Kuwait will be in the region of 19,000 tonnes per year and KCC, being a local manufacturer, shall receive a sizable market share. Such demand can only be met by doubling the current plant capacity by constructing a third production line,” said Dr Hasan M Qabazard, chief executive officer, KCC. KCC’s current production capacity is 5,000 tonnes of hydroprocessing catalysts per year from two lines. In 2014, the company produced 3,937 tonnes of catalysts by utilising 79 per cent of plant capacity. 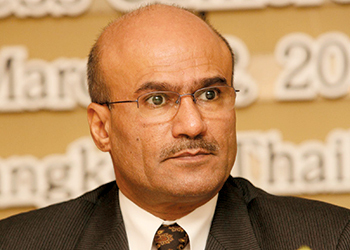 “It is noteworthy,” said Dr Qabazard, “that almost 74 per cent of KCC’s production was exported and 26 per cent delivered to local refineries in Kuwait.” There are three refineries in Kuwait owned by KNPC and the fourth is under construction. For the past several years, KCC has operated at around 80 per cent capacity. Its plant has installed from time to time new equipment, undertaken debottlenecking and commercialised new products. “All efforts are being made to reach 100 per cent utilisation of capacity in 2015 and onwards,” said Dr Qabazard. According to the latest KCC survey, annual hydrotreating catalyst demand in existing refineries in Kuwait is about 4,300 tonnes and expected to increase to about 16,000 by 2018 after the startup of both the new refinery and the Clean Fuels Project. “The medium term holds great business opportunities for KCC and the company must capitalise on these opportunities with a sound business plan. KCC must lay down strategies for increasing operational efficiency, introducing new technology, enhancing its product range and expanding production capacity,” said Dr Qabazard. KCC’s new-generation catalyst plant was originally built on the ‘HOP’ technology provided by Japan Energy Corporation (JEC), now known as Jx Nippon Oil & Energy Corporation. JEC exited the catalyst business and Advanced Refining Technologies USA (ART) procured the world-wide HOP technology rights from the Japanese firm in 2005. Now, KCC is fully associated with ART. Advanced Refining Technologies was formed by Chevron Products Company, a division of Chevron USA and the Grace Davison business unit of W R Grace & Company, USA. ART is primarily engaged in catalyst technology research, development, production and catalyst marketing. ART controls more than 60 per cent of the resid hydroprocessing catalyst market world-wide. “KCC is proud to be associated with such an internationally reputed company. With ART’s robust technical support, access to rich technological resources and R&D, KCC became a prominent catalyst manufacturer and supplier of innovative catalysts in the region. With a global network, powerful synergy and technical vigour, KCC moves in parallel with the fast-changing and continually improving catalyst technology,” commented Dr Qabazard. “ART is also a major shareholder of KCC – a firm and confident alliance reinforced between the two companies. KCC is fully integrated with ART’s global marketing network. Catalysts manufactured by KCC are delivered to the US, Canada, Europe, Russia, the Middle East and East Asia including China. There are no major hydroprocessing refinery units and demand for hydroprocessing catalysts in the GCC region outside Kuwait is trivial. KCC sees good prospects for growth of its business. Dr Qabazard explained that refining catalysts constitute a lifeline for petroleum refining industry growth. The increasing demand for petroleum products coupled with technology developments, growing use of heavier feedstock and growing environmental concerns will continue to drive growth for the refining catalysts market. Furthermore, stronger demand for transportation fuels with more stringent standards in emerging economies is expected to boost prospects for catalyst makers. The shift in fuel demand growth from mature markets to emerging regions and the subsequent buildup of refining capacity in the Middle East, India and China are key trends driving refinery catalysts growth. The global market for refining catalysts was estimated at $3.2 billion in 2012, roughly a quarter of the $12.5 billion process catalyst market, according to several reports. The total global refining catalyst market is expected to be worth $3.4 billion by 2015 with an annual growth rate of 2.29 per cent. Refining catalysts are categorised into FCC (fluid catalytic cracker), hydroprocessing (hydrocracking and hydrotreating), isomerisation, alkylation and others. FCC catalysts dominate the market with a 38.5 per cent share, followed by hydroprocessing catalysts with 32 per cent. 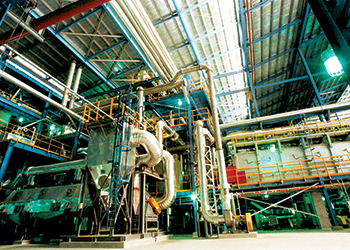 Hydroprocessing catalysts are the fastest-growing refining catalysts. These catalysts help control and improve operational efficiencies in the petroleum refining process. Low sulphur regulations in developed countries and implementation of some sulphur restrictions in China, India Mexico and the Middle East contribute to a significant market driving force. Hydrotreating catalysts accounted for the largest share, 74.2 per cent, of the overall hydroprocessing catalysts market at $740 million in 2012. Hydrotreating catalysts are expected to continue to achieve the best growth in the catalyst market, aided by the increasingly sour nature of the crude petroleum supplies. This segment is expected to reach $869 million in 2015 at an annual growth rate of 3.53 per cent for the period 2010-2015. “Rapid refining growth will occur in both Asia and the Middle East. The Middle East has a large refinery catalyst market due to the presence of several major oil producing states. The region is expected to account for 33 per cent of the global refining catalyst market in 2015,” Dr Qabazard observed. Among Asian countries, China is the largest consumer of refining catalysts, but the market is dominated by local producers. At least 80 per cent of the catalysts consumed in China is produced domestically. Most of the refining catalysts used in China are made by two petroleum companies—Sinopec and China National Petroleum Corporation. “The Middle East, with the availability of capital and fossil crude, is one of the main regions where significant investments are being made in oil refining. These investments are largely being driven by the plans of governments to diversify their economies away from the upstream, to add value to heavy crude oils and produce clean fuels for local consumption,” Dr Qabazard remarked.